I spent today enjoying some up-close-and-personal interaction with the beasts at the Los Angeles Zoo at the 23rd Annual Photo Day. 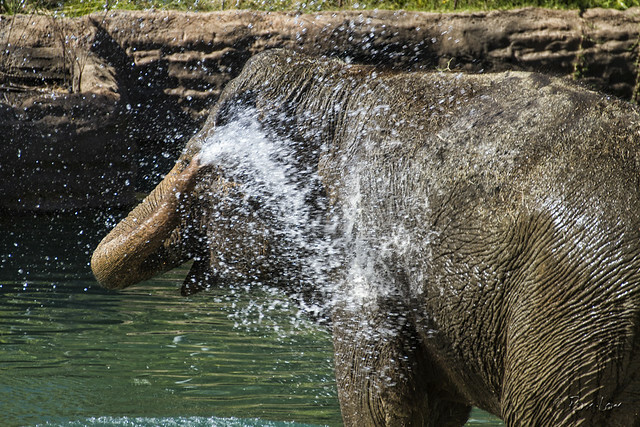 The elephants at the zoo have had a remodeled home for about three years now. It's such a big area that sometimes you can walk all the way around and not see any of the three elephants that live there. But today that wasn't the case. It was hot today in southern California. 90 degree-hard-to-believe-it's-fall hot. 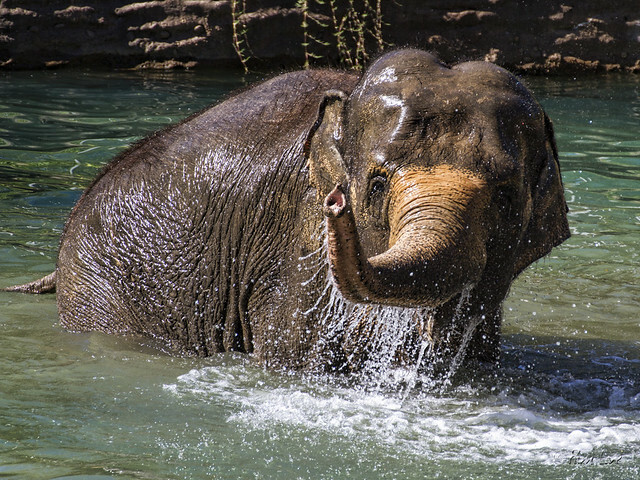 So it was no surprise to see this elephant thoroughly enjoying a dip in the water. She started by spraying herself, then lay down and rolled until she was completely submerged. Her trunk came up briefly like a periscope, then back down for some more rolling. When she was done, she looked delighted with herself.